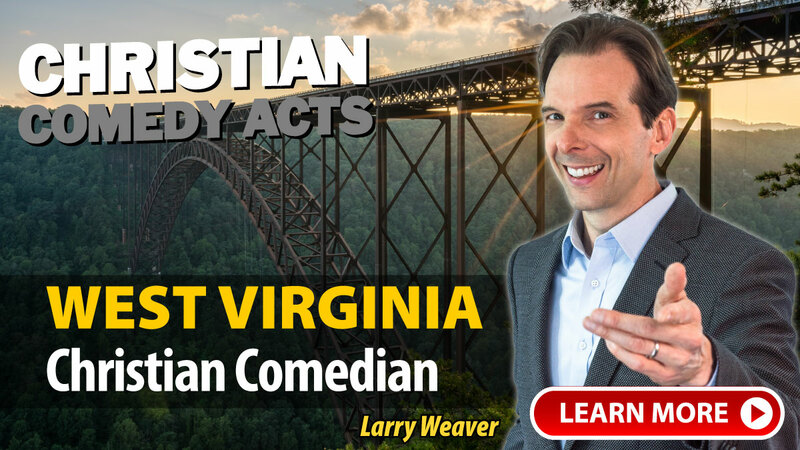 Christian Comedy Acts helps you find local Christian comedians, Christian speakers, Christian magicians, Christian ventriloquists, and top clean comedians in the West Virginia area. Find Christian entertainment for your church fundraiser, banquet, outreach or ministry event today. "Lyndy was great!!! We had an outstanding evening and everyone left knowing the Truth." A few of the towns these nationally-touring Christian Comedians have performed in include: Beckley, Charleston, Cross Lanes, Green Bank, Harrisville, Huntington, Mill Creek, Moorefield, Parkersburg, Princeton, Roanoke, Summersville, Weirton, White Sulphur Springs, WV and others.